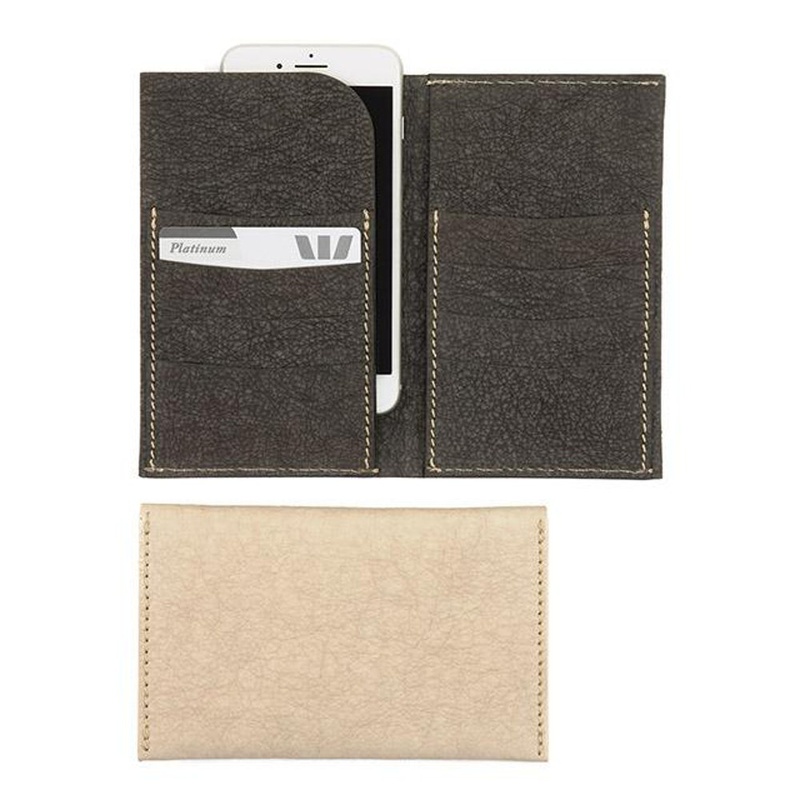 Carry your cash, cards and smartphone all safe in one place in Uashmama's plant-based and leather-free wallet. This design holds up to eight (x8) cards, it also features an open sleeve on one size to carry a phone and a closed sleeve on the other to secure your money. It is photographed here with an iPhone 6 Plus which easily slides in and out of the open sleeve design.